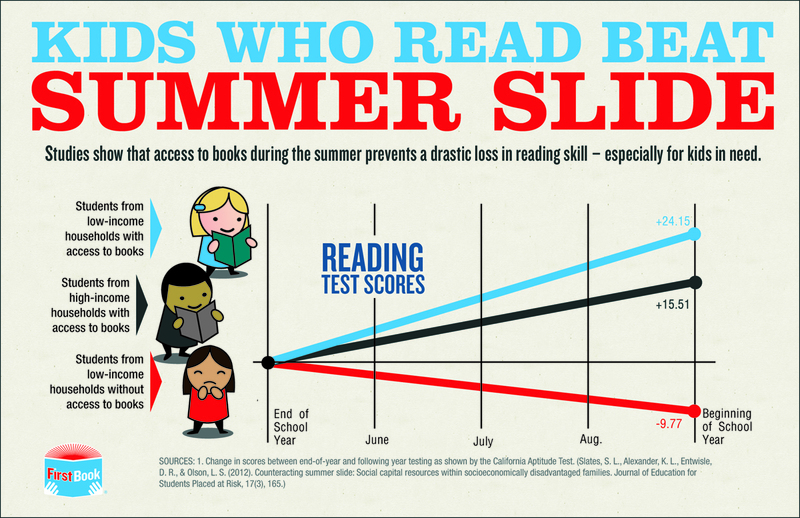 Why is reading so important during summer break? Reading opens so many doors for children and is helpful in so many aspects of a child’s growth. Reading is something that stays with you through your life. Storytelling is magical and kids love storytelling because it allows their minds to expand and create new experiences. As a parent, you are an important educator in your child’s life, just as important as his or her teacher. A child is never too young to start reading and looking at books. Give them the gift of gaining invaluable literacy skills through reading. Why should you make reading a priority? Are “summer slump” & “brain drain” really something to worry about? Yes! The majority of kids need help structuring their time during summer break. Without educational activities, it’s harder for them to recover what they’ve learned when they go back to class. There are tons of studies (dating back to over 100 years!) indicating that kids forget what they learned during the school year. Did you know that most kids lose about two months of math skills over the summer? Yes, it’s a real thing. Recently a couple in Canada were dining out at a Mother’s Day brunch and their check went viral after a “well behaved kids” discount was tacked on the bottom. I think a discount at a restaurant for children being well behaved through your meal is ridiculous. 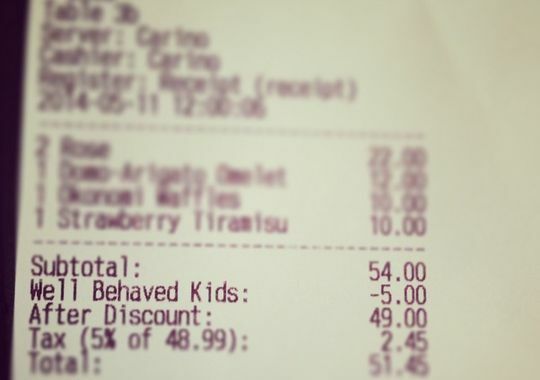 This isn’t the first time I’ve seen a restaurant give a discount for well behaved kids too, but after this last check went viral on Reddit I had to comment. It raises a concerning question: Do parents really need an incentive to encourage proper behavior in a restaurant? After all, isn’t good behavior and manners something we should all be instilling in our children anyway? The fact that servers and waitstaff have experienced so many poorly behaved children in their establishments is very worrisome — but I’m not surprised, as I’ve seen a rapid decline in children’s behavior. Unfortunately, parents have lowered the bar and it’s about time we stepped it up again. After viewing the comments on Reddit, so many of you were happy to see this couple receiving a discount for their well-behaved 1-year-old daughter, but it then brings up the question: Should a family with misbehaved kids receive the opposite? A surcharge? 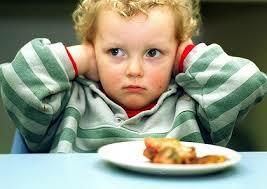 And why is it so unusual to see a well-behaved child having a peaceful meal with family? This just isn’t right. Parents, I want you to try an exercise next time you visit a restaurant with your little ones. If their behavior is poor, remove them from the situation. Give them fair warning that if they can’t behave and use their manners, they don’t belong in a restaurant. Eating out should be a privilege… and it shouldn’t be a chore for you. They shouldn’t have full reign of the restaurant. They should stay seated throughout the meal, interact appropriately with those they’re dining with, and eat the food that is brought to them. It’s simply not okay for your child to run around and act like an animal. If it means bringing something to occupy them, like a coloring book, so be it. As long as your child knows what is appropriate behavior and what’s not. In all honesty, their behavior at home during mealtime and their behavior at a restaurant should mirror each other. If they are allowed to get up from the table at home, then they will surely do it when you’re out. If they don’t have to eat nicely at home, then why would they when you’re out? Enforce it and don’t tolerate anything less. It’s time we raise the bar! I’m a huge fan and supporter of Jamie Oliver’s Food Revolution Day because like Jamie, I believe that every child deserves a diet free from processed foods and access to fresh ingredients that they can cook from scratch. 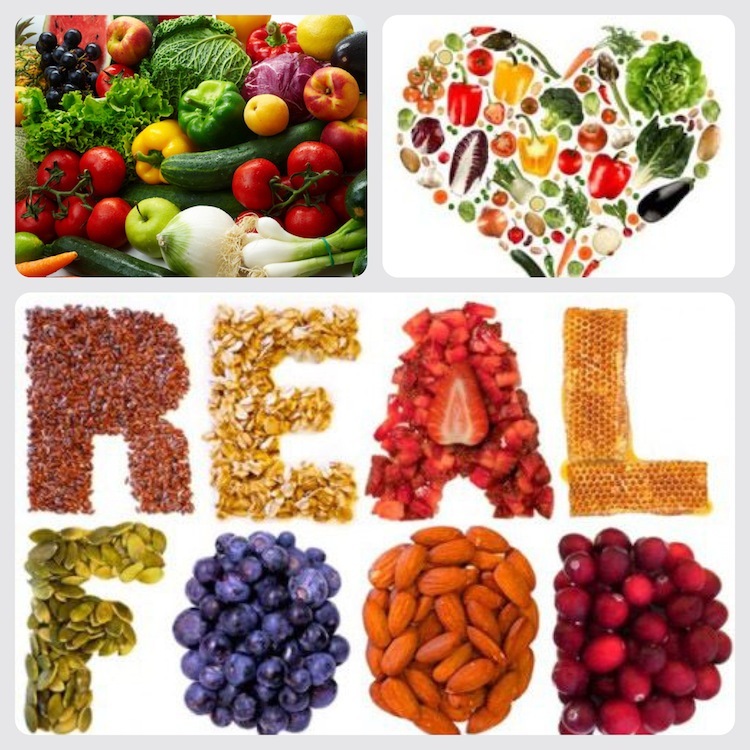 Your child’s diet will directly affect their behavior. Cooking skills are an invaluable life lesson and your children will love learning family recipes from grandma, or mum or dad. It’s something they will take with them their whole lives and continue the tradition with their children. Why should you cook with your kids this Food Revolution Day and always? It’s an opportunity to talk about nutrition and what they get out of certain foods – what’s “healthy”? What’s a healthy fat? A carb? How does sugar affect the body? Etc. Kids are more likely to try new foods if they helped make them! 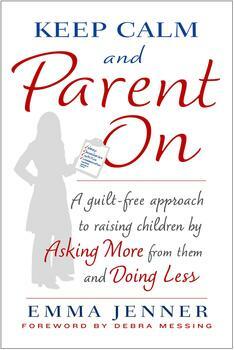 Win an advanced copy of Keep Calm and Parent On, my new book debuting July 15th published by Simon & Schuster. It’s wonderful that we have Mother’s Day to recognize and appreciate all that mother’s do, but let’s not limit it to one day a year. The first chapter in my book is called “The Dignified Parent: For Mum and Dad” where I talk about the importance of taking care of you. It’s the first chapter because I feel it’s the most important. Being a good parent does not mean negating all of your own needs. Keep calm and keep smiling… even when you may want to scream! This Mother’s Day, and everyday, take some time for you. 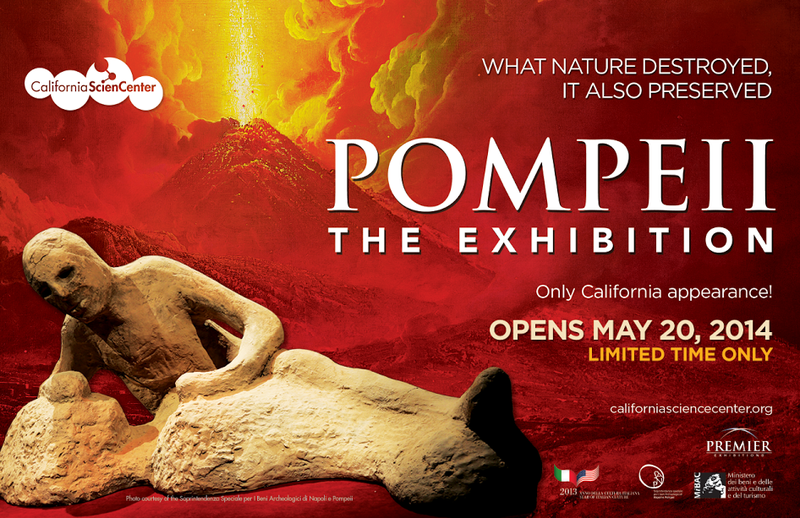 Win a Family 4-Pack of Tickets to Pompeii: The Exhibition! This isn’t your run-of-the-mill exhibit. Your family will be able to experience what daily life was like in this once vibrant Roman city. Then, as the floors shake and the walls rumble, relive the volcano’s catastrophic eruption through an immersive CGI experience, culminating in the reveal of full body casts of twisted human forms, asphyxiated by extreme heat and noxious gases and forever frozen in time. Pompeii includes a collection of over 150 excavated artifacts on loan from the Naples National Archaeological Museum in Italy. Exciting multimedia experiences and hands-on science exhibits give a sneak peek into the lives of a once-vibrant Roman city. Guests will learn the science of archaeology, volcanology and Roman engineering while exploring an ancient civilization that time almost forgot. One winner will be randomly selected at 5 p.m. PST on May 30, 2014. Please note that only L.A. County residents are eligible to receive a prize. One entry per person. First 5 LA staff is ineligible to enter. Deadline to enter is 5 p.m. PST May 30, 2014. 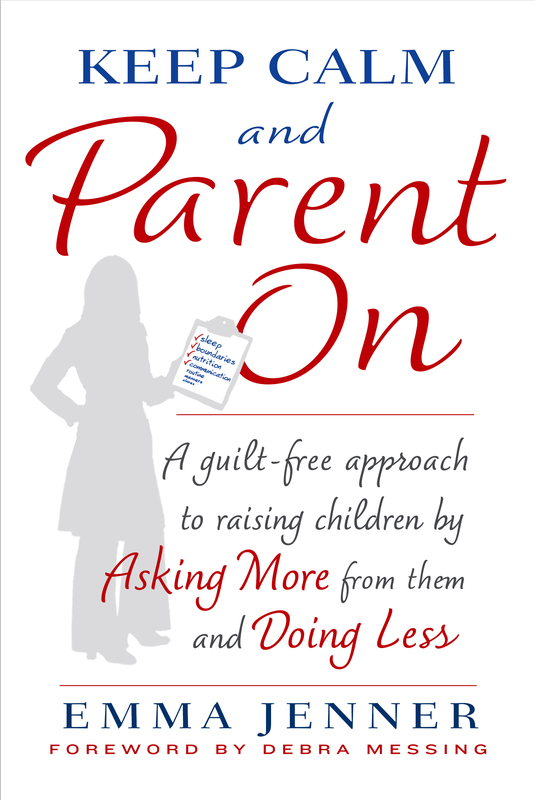 Keep Calm and Parent On effectively places parenting expert Emma Jenner on your shoulder, helping you see your child’s behavior from an objective standpoint that puts you firmly in charge. Each chapter opens with a checklist of questions to ask yourself when you run into a specific problem, whether it’s sleeping, nutrition, communication, manners, consequences, or self-esteem. Jenner then breaks down each checklist, explaining how bad behavior is really just a habit that needs to be corrected. By connecting the dots in all areas of your child’s life, you can understand why he or she is acting out—and how to fix it. For example, the best discipline techniques in the world won’t work if a child is sleep-deprived, and a child will not demonstrate good manners if communication is faulty and he doesn’t understand what’s expected of him. Each chapter also features handy sidebars, as well as instructive and memorable quizzes. A strong proponent of raising our expectations, Jenner shows how parents can do more by doing less for their children. With an interactive format and straightforward solutions, this invaluable guide is designed to give parents bite-size takeaways they can use immediately with their children. Jenner’s blend of British and American parenting styles is more than advice; it is proof that all children are capable of behaving—and that you have the keys to unlocking their potential. Pre-order your copy now on Amazon. Sarah Clark was worried about her 3-year-old daughter. Adrienne had multiple temper tantrums an hour, hour after hour, and their house was constantly filled with her screaming. Sarah worried, too, about the affect the unrest might be having on her older son. Sarah and her husband doubled down on their discipline tactics, and on the advice of their pediatrician, they took Adrienne to a child psychologist. After several sessions the psychologist suggested ADHD medication. When none of that worked, the child psychologist recommended Adrienne be put on an anti-psychotic medication called Risperdal. “Excuse me?” Sarah asked, thinking she’d heard the doctor incorrectly. “Are you suggesting that my 3-year-old is bipolar?” Sarah works as a speech therapist for an elementary school district. As a result, she knows a fair amount about Risperdal, and what it’s used for. She’s seen kids and their haggard parents come through her office door, and the kids who are on Risperdal are literally sedated. “That’s exactly what I’m thinking,” the doctor replied. Sarah sought a second opinion. This time she attended without Adrienne, and was careful not to let the psychiatrist hear her desperation. She wanted an objective assessment, not one colored by her distress. This time the psychiatrist said, “It sounds like your daughter is on the Asperger’s scale,” and she, too, suggested Risperdal. “I’m a speech therapist,” Sarah told the doctor, “and I know what Asperger’s looks like. My daughter does not have Asperger’s. What’s more, you haven’t even seen her. How can you make that assessment?” The doctor suggested that Sarah was in denial. Please visit Huffington post to continue reading the rest of the article. GumChucks: Helpful Flossing Tool for Kids & Parents! I first found out about GumChucks from my friends at the Lasky Pediatric Dental Group, who are supporters. Last year I had the pleasure of interviewing Dr. Jill Lasky about keeping your child’s dental hygiene up to par, especially proper brushing. Since then I’ve followed their tips and advice via Facebook and simply had to check out such a cool, new product! 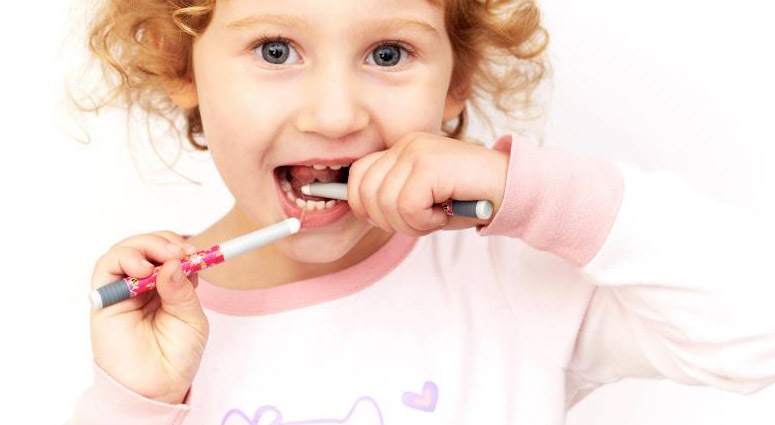 The best way to encourage your child to brush and floss daily is to make it fun! This is why GumChucks stood out to me as a must-have product. GumChucks offers brilliant flossing tools just for kids and their packaging is one-of-a-kind. They incorporate a whole gang of plaque fighting superheroes! What kid wouldn’t love this? GumChucks is an entirely new way for children to floss. No more boring waxed floss that is nearly impossible for a child to get in the back of their mouth, or risk them biting your fingers! Floss picks are a nice alternative but they don’t always encourage you to make that “C” movement around the gums. GumChucks resemble nunchucks so you still use two hands and can more easily maneuver the floss. The best part is the nunchucks have disposable tips. The tips easily pop on and off, allowing your child to use a new piece of dental floss as needed. The floss feels great and works with little effort – I tried them myself! The nunchuck handles come in a variety of designs and colors which kids will absolutely love. They are comfortable and convenient for little hands with limited dexterity. No loss of circulation in little fingers and they can control the handles with ease. 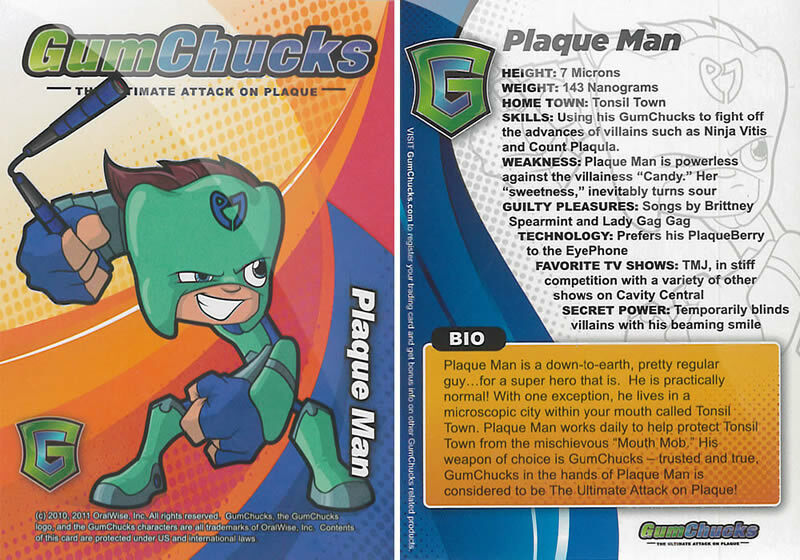 Flossing is just as important for children as it is for adults and GumChucks makes it fun. So fun in fact, they should make them for adults! I would certainly use them! GumChucks even has an iTunes app so your child can become familiar with them before using! Worrying that your child is growing or eating enough? You are not alone. This is a top concern for many parents and it compounded by the use of one-size-fits-all weight and height charts in the doctor’s office. For years, parents have fretted when their little one is pronounced “under-weight” and many have been advised to add fattier foods or to even stop nursing and use formula to add on weight to their baby. But why when a child is otherwise healthy? The charts have traditionally excluded the idea that different ethnicities may just be different sizes. For example, comparing the size of a South Asian baby to a Caucasian baby can sometimes be apples to oranges. This sounds like common sense and researchers have finally agreed. The American Journal of Obstetrics and Gynecology has published a study online that shows the use of ethnic-specific charts would be far superior for diagnosing babies as small for gestational age (SGA). The association of SGA with conditions such as hypoglycemia and increased infection rates has been an increased source of worry for parents receiving the diagnosis. Unfortunately, with the traditional charts, many children are misdiagnosed. This can cause considerable undue stress and anxiety for parents and even unnecessary changes in a child’s diet. There is a new push to update and implement charts with ethnic averages taken into consideration. 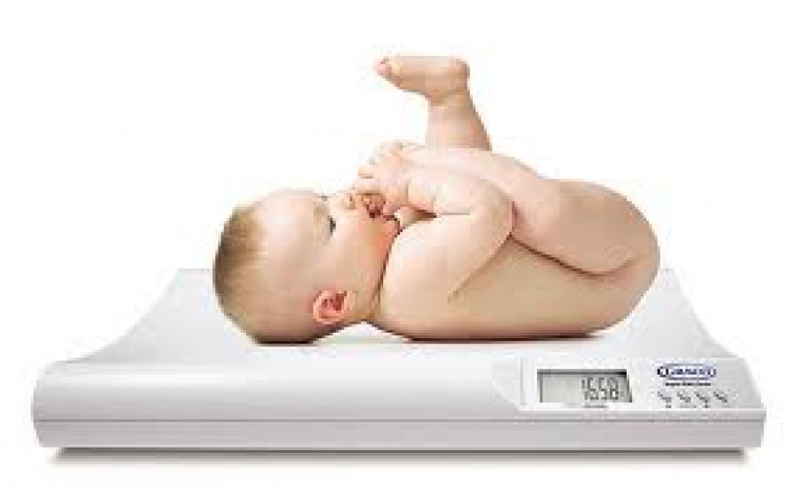 The hope is that the new charts can more accurately determine if a baby is underweight or not. While medicine has done so much good, there are some things that caregivers should listen to their intuition about. Ask for a second opinion if it doesn’t add up for you! There is no harm in asking questions if it will help you understand and lessen the anxiety of a diagnosis. If your child is developing well and has several wet or soiled diapers a day, chances are they are eating well and growing. The reliance of one-size-fits-all charts and graphs is an old fashioned way of thinking that may do more harm than good for you and your baby! Storypanda Books and I are thrilled to announce a giveaway in honor of back-to-school! Starting this Friday, September 6th, you can enter to win a FREE COPY of Todd Parr’s It’s Okay to be Different! 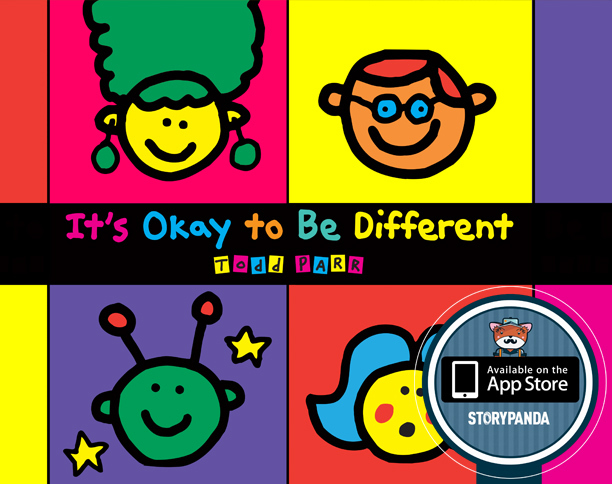 We’ll be giving away 2 print copies of It’s Okay to be Different …but don’t forget you can also buy Storypanda’s in-app purchase and take Todd’s book with you wherever you go!